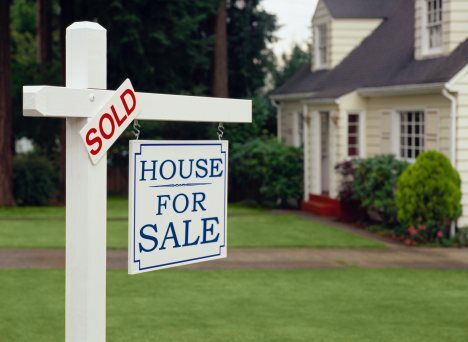 Lexington Houses Blog: Thinking of Selling Your Lexington Home? 5 Great Reasons Why NOW is the Perfect Time! Thinking of Selling Your Lexington Home? 5 Great Reasons Why NOW is the Perfect Time! As a Lexington Real Estate agent, I’m often asked about the current market conditions, especially by those Lexington residents who are considering selling their home. Because the market is currently leaning in favor of buyers, sellers fear trying to sell because they feel they won’t get a good return on investment. 1. Exposure- As you know, fall is a gorgeous time of year where we live and many people want to be outdoors as much as possible. Buyers will be actively viewing homes that are on the market and will want to close on a home and move in before winter hits. You’ll also not get as much activity on your Lexington home in the winter months when the snow and cold drive people indoors. 2. Moving Up- Now is an ideal time to move up into your dream Lexington home. Selling your home will free you up to cash in on all the benefits buyers are currently taking advantage of, and you’ll be glad you decided to sell! There are many beautiful homes on the Lexington Real Estate market that are well priced and move-in ready! 3. Competition- It’s expected that short sales and foreclosures will rise later this fall and winter, so selling now will keep you ahead of the competitive prices of these types of homes. While your Lexington home may be in great condition and well priced, buyers will have a hard time passing up the even lower prices on a distressed property. 4. Surplus of Buyers- Mortgage lenders are looking for new ways to tighten the reigns of those who qualify for a loan. The harder it becomes for buyers to qualify, the fewer the amount of buyers who will be searching the Lexington Real Estate market. Selling now ensures you’re dealing with the most potential buyers which will translate more easily into a sale. 5. Moving On- Although this is more of an emotional reason, it’s still valid. Whatever reason you have for selling your home in Lexington, you don’t want the process to linger on longer that it has to. You have certain goals with selling your home that you want to achieve, and there’s also a sense of being able to move on with your life. I hope these tips encourage you and show you that if you’re thinking of selling your Lexington home, now is the time to do so! I understand it can be overwhelming to think about going through the entire home selling process with the busy fall season underway, but with my years of experience in the Lexington Real Estate market, I assure you that you can have a smooth and efficient experience! Please feel free to contact me today to discuss any questions you have about selling your home, your real estate needs or to get started! I look forward to helping you sell your Lexington home!